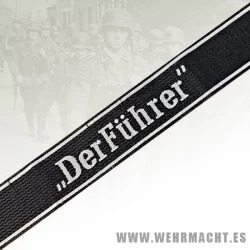 Waffen SS generic cuff title. 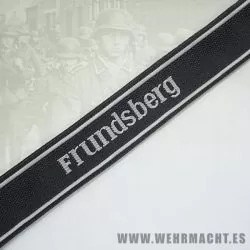 This replica is embroidered by hand onto a special woven wool backing with a silver edging 'R.Z.M.' style. 1st SS Panzer Division Leibstandarte SS Adolf Hitler Enlisted Mans cuff title. This replica is made from grey thread on black woven silk base with border. 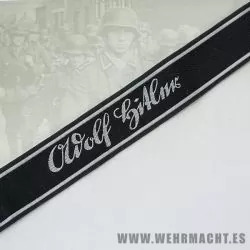 1st SS Panzer Division Leibstandarte SS Adolf Hitler Enlisted Man's Cuff Title. ‘RZM’ style. 1st SS Panzer Division Leibstandarte SS Adolf Hitler Officer Cuff Title. ‘RZM’ style. 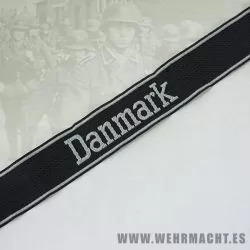 Waffen SS enlisted Mans cuff title "Danmark". This replica is made from grey thread on black woven silk base with border. 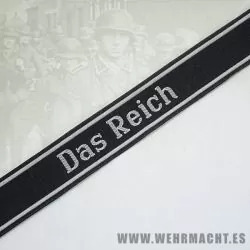 2nd SS Panzer Division "Das Reich" Enlisted Mans cuff title. This replica is made from grey thread on black woven silk base with border. 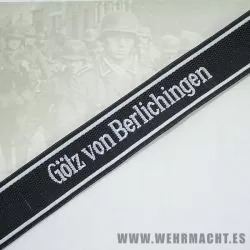 17th SS Panzergrenadier Division Götz von Berlichingen Enlisted Mans cuff title. 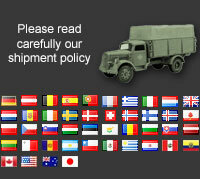 This replica is made from grey thread on black woven silk base with border. 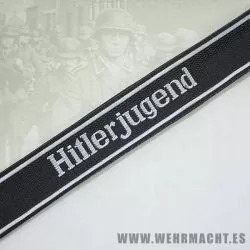 12th SS Panzer Division Hitlerjugend Enlisted Mans cuff title. 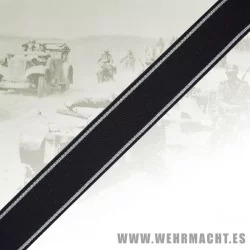 This replica is made from grey thread on black woven silk base with border.